I am dedicating this Caturnalia to a dog. Yes, a dog. I discussed it with my cats and they are cool with it. This dog is sleeping on a cold concrete floor surrounded by her own poop right here in my city of Charlotte, NC. 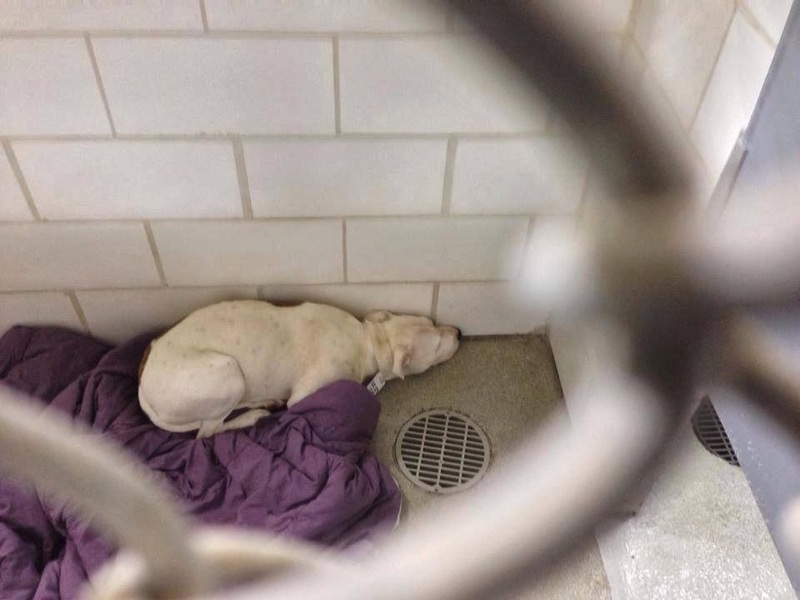 Deaf and pregnant, she is scheduled to be gassed in the same facility I ride my bike by 2-3 times a week. No animal deserves to live (or die) like this. Luckily, Steve stepped in from "The Mutt Runners" and agreed to foster this dog and her puppies if $1,100 could be raised to cover her vet and transportation expenses. When I made my donation only $110 had been raised but the full amount was raised within the next 6 hours and this pup was pulled from the shelter. 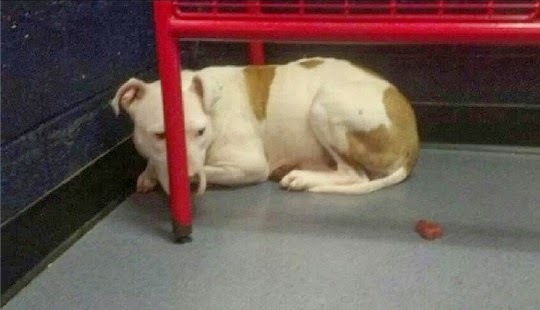 Steve, in conjunction with the CharlotteSPCA will work together to get this dog the medical care she needs. Steve will raise and ween her puppies, she will be rehabilitated, and eventually adopted. Organizations who do this kind of work are the unsung heroes of our time. But the sad truth is most cats and dogs are not this lucky. 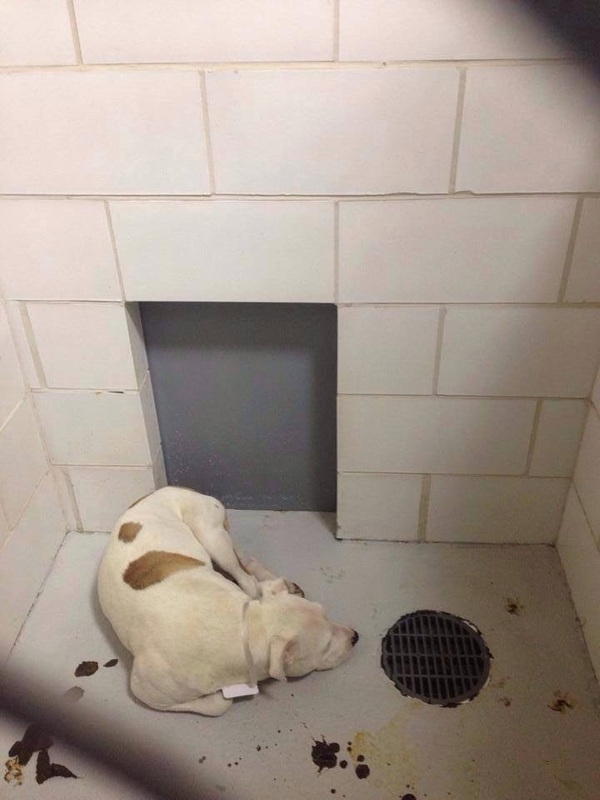 7 out of every 10 animals brought to this facility (I refuse to call it a shelter) are gassed. In fact, Charlotte's kill rate is almost double the state's average. 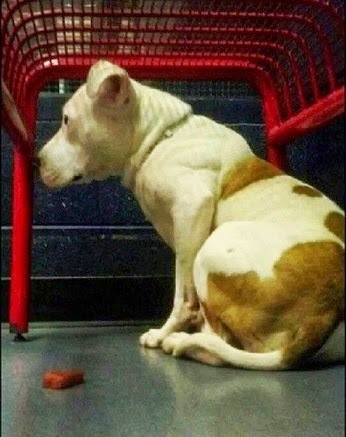 While the conditions this dog was living in absolutely disgusts me I know programs like this receive no funding and are the dirty underbelly of any city you might find yourself right now. Legislation over the years has been slow to change and some cities a more proactive than others. If you feel the need to buy a special dog because you don't want to deal with fur or because breed X is just so cool and "fits your personality", I have one thing to say to you: HTFU. There are LIVES to save. Get over yourself. Stop buying from breeders. This profession is completely unregulated and not only are you sentencing dogs like the one above to death but you are also encouraging the very existence of those horrible puppy mills you often see in the news. Spay/neuter your animal. You do not need to breed it and your animal will not make you money so let those ideas go. The only way to reduce the homeless animal population and animal control kill rates is through sterilization. Removing its ability to reproduce will not chance its personality so don't make excuses that are completely unjust. Support your local rescue. There are lots of ways to support your local rescue organization that has nothing to do with taking in an animal. Monetary donations are always the easiest but they also need stuff like cleaning supplies, old blankets, extra food, bowls, dishes, towels, bleach, office supplies, skills . . . the list goes on. They need help transporting animals well as home visits just to check the suitability the animal and potential new home environment. Follow them on Facebook, Twitter, and Instagram to see the great work they are doing everyday. Adopt. It does not matter if you adopt from a rescue or local facility. Every life saved saves another and you cannot put a price on that. There is just something about a rescue that will make your heart smile. If you are interested in help Steve expand Mutt Mansion, donate here. Sadly Mutt Mansion will be closing in the next 45-60 days if 50% of the funding isn't reached. Why do animals always get the short end of the stick? "What have you been up to?" You asked. I tell.